Jack Bergen is Strategic Partner of Gould+Partners, providing talent assessment and development services in support of Gould+Partners clients and programs. Given the importance of human capital in agency valuations and the importance of retaining top talent in post-merger integration, Gould+Partners will draw on Bergen’s corporate HR experience to support it’s growing M&A and Consulting practices. Bergen will also provide insights into Gould’s compensation consulting with clients. 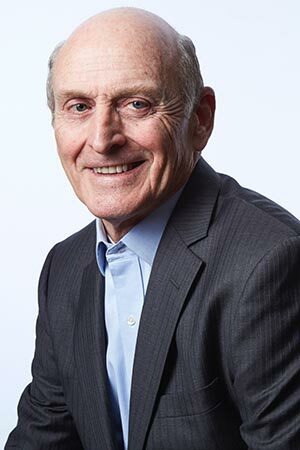 During his 12 years working in the PR industry, Bergen served as the first President of the Council of PR Firms, as well as President of Hill and Knowlton U.S. and CEO of GCI Group. In 2007, the PRSA honored Bergen with the Atlas Award for Lifetime Achievement in International Public Relations. Prior to partnering with Gould+Partners, Bergen was VP of Corporate Projects at Arconic, the aerospace company formed from the separation of Alcoa in 2016. At Alcoa, he was head of global HR and also led the company’s Communications and Government Affairs departments. With G+P he will apply his combined HR and communications experience and expertise to further serve our consulting and M&A clients. During his nine-year tenure at Alcoa and Arconic, Bergen founded and managed the Alcoa Academy, which provided leadership training to senior executives, operational managers and emerging leaders throughout the company. To strengthen Alcoa’s diversity programs, Bergen also established a network of employee resource groups and personally served as the executive sponsor of the African American and Veterans groups. Bergen has also held senior management and marketing positions at Siemens Corp., CBS Corp. and GE. In 2004, the Business Marketing Association (now part of the Association of National Advertisers) awarded Bergen with its annual William A. Marsteller Marketing Leadership Award. Bergen, a graduate from the U.S. Military Academy at West Point, was an Army Ranger and paratrooper and is a Vietnam veteran. After receiving an MA in English from Indiana University, he taught English, philosophy, and ethics at West Point. During the Reagan Administration, he was Secretary of Defense Caspar Weinberger’s speechwriter.